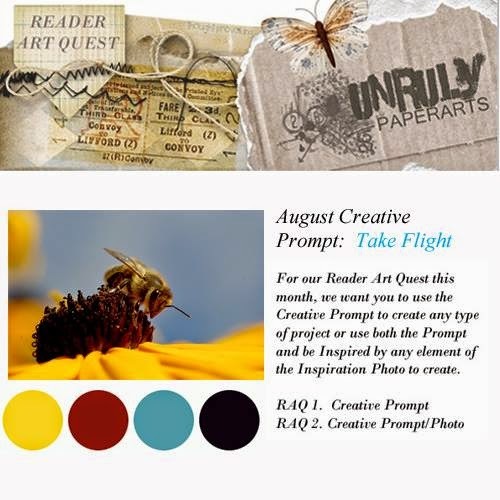 RAQ over at Unruly PaperArts launches today and the theme is 'take flight' so plenty of scope for the imagination! The RAQ is sponsors by Wild Orchid Crafts who are offering at £15 voucher to the random prize winner. I am going to share this over at AJED and The ABChallenge of quotes. Lovely creation. Thanks for sharing with us at ABC Challenges.